Lauren Daigle…How Can It Be? 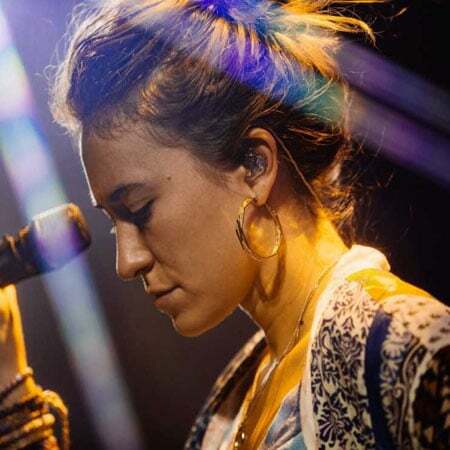 Grammy-nominated Christian music artist, Lauren Daigle, was asked on The Domenick Nati Show, “Do you feel that homosexuality is a sin?” Her reply has left many bible-believing Christians scratching their heads. As Christians, we understand that the Bible does not categorize sin into lesser or greater degrees of sin. In more recent years, however, homosexuality has been elevated into the spotlight, mostly due to the agenda that has been afoot to normalize it. And what better way to gain acceptance than by going to the Christian community and attempting to force its acceptance on the Church? Does Ms. Daigle really not know, or does the fear that her record sales might drop hinder her from speaking the truth to a lost and dying world? If she has been in the church her entire life (which according to her own testimony she started really digging into the word and understanding her salvation at the age of 15), what has she been reading all this time? Can one really be a true believer for that many years and never stumble upon the book of Romans, 1 Corinthians or Jude? We can’t help but wonder if her response may have simply been her way of gaining worldly acceptance. But the world doesn’t love believers and it isn’t suppose to (John 15:18). It would be a good time to examine your faith when all the world speaks well of you. At this point one might be asking, “How could she have answered the question then?” This is a fair question. First, we are told to speak the TRUTH in love and we are not to compromise our faith to appease the world. However, this doesn’t mean we bang people over the head with our Bible and scream the relevant passages on this subject. How did Jesus deal with sinners? He must be our example. In closing, let me be clear that we do not hate homosexuals (are we better than God? ), just like we don’t hate adulterers, fornicators, drunks, etc. Jesus came to rescue the sinner (Luke 5:31)! The only time we are called to hate is in the context of evil (Romans 12:9), we are not called to hate one another. For all have sinned and fall short of the glory of God (Romans 3:23). God is clear in His word that He hates the sin of homosexuality, just like He hates the sin of adultery, fornication, drunkenness, and a host of other sins. However, He loves the world, so much so that He offers forgiveness of sins through the atonement of Jesus Christ and what Christ did on the cross! God loves sinners – “But God demonstrates His own love toward us, in that while we were yet sinners, Christ died for us” (Romans 5:8). It is we sinners whom Christ came to save! But we must be willing to turn from our sin and trust in the Lord Jesus Christ for our salvation. We’re curious, how would you have responded? Leave a comment below.